The People’s Democratic Party has welcomed President Muhammadu Buhari’s declaration to jail treasury looters. It, however, challenged him to show integrity by starting with the investigation and prosecution of members of his party, the All Progressives Congress. Commenting on Buhari’s declaration, the PDP specifically asked the President to start by investigating the National Chairman of the APC, Mr Adams Oshiomhole. 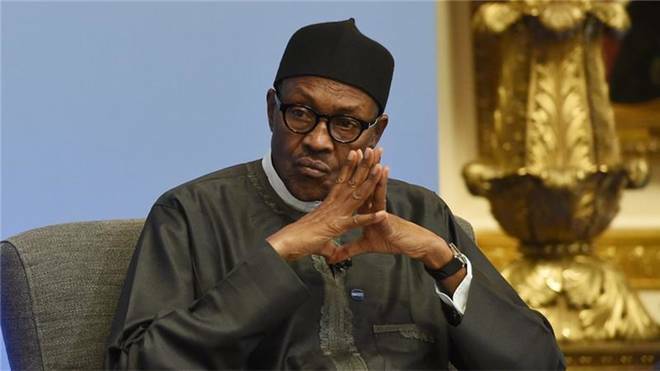 The party also challenged President Buhari to allow an investigation into the allegations against the sacked former Director-General of the Department of State Services, Mr Lawal Daura; a former Secretary to the Government of the Federation, Mr Babachir Lawal, and the Executive Secretary of the National Health Insurance Scheme, Prof Yusuf Usman. The National Publicity Secretary of the PDP, Mr Kola Ologbondiyan, in a statement in Abuja on Sunday, added that President Buhari should immediately allow the Economic and Financial Crimes Commission to commence Oshiomhole’s investigation. He said, “The PDP further challenge President Buhari to allow an investigation into the alleged frittering of over N11tn in the petroleum sector under his direct supervision as minister, including the alleged N9tn illegal oil contract as detailed in the leaked presidency memo, the alleged N1.4tn corrupt subsidy regime and alleged diversion of N1.1tn worth of crude oil, using 18 illegal companies allegedly linked to the Presidency cabal and the APC chieftains. “The President should also allow the investigation of his ministers, who as former governors, were indicted in stealing billions of naira belonging to their states, particularly, a former governor, who was indicted by his state for allegedly diverting over N40bn to finance APC’s 2015 Presidential campaign. “Mr President must also investigate how billions of naira allegedly moved from parastatals under his Petroleum Ministry to finance the failed attempt to change the leadership of the National Assembly as well as the certificate scandals among his ministers and special advisers and jail all those involved. “These are the people Nigerians have been expecting President Buhari to investigate, prosecute and if found wanting send to jail. Ologbondiyan added that since the President Buhari came into office, he had allegedly not allowed an investigation into the corrupt activities under his Presidency.